Nice install Tom. Real professional job! 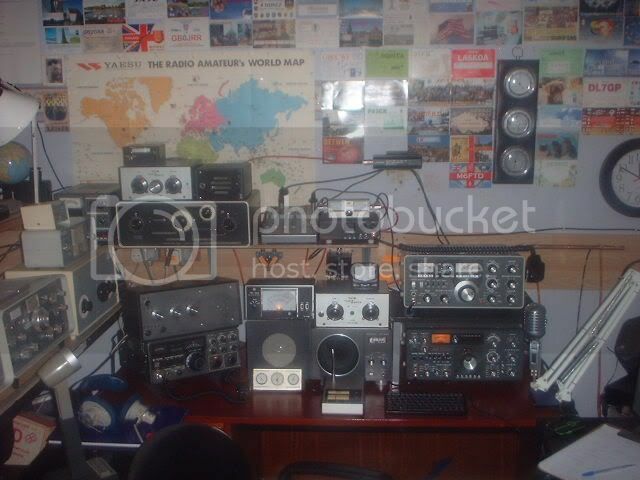 I finally got around to cleaning up my shack. A special thanks to my wife (KI4SVE) for helping me get it cleaned and organized. Now if I can just keep it that way! I tried to post a pic. I can\'t get it to load right now. I think I need to resize it. Lets try this. There should be a pic here. Very, very sharp Chris. Excellent neat set up indeed! \r\n	Let them say, I lived in the time of Hector, tamer of horses. \r\nLet them say, I lived in the time of Achilles. Took 4 post to say that??? \r\nWe seem to have a server problem tonight. Ok that is wierd. I checked it after I posted and only saw one, now there are 2 posts. I think you\'re rite Buddy, server is acting goofy!!!!!!!!!! Done a little rearanging in the shack over the past few weeks. 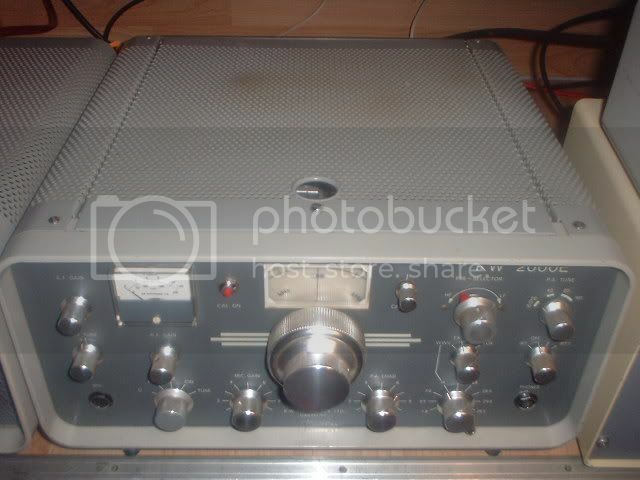 \r\nGot tired of all the radios being on top of each other. And with a concrete floor it was impossible to hold the dust down so I covered it. 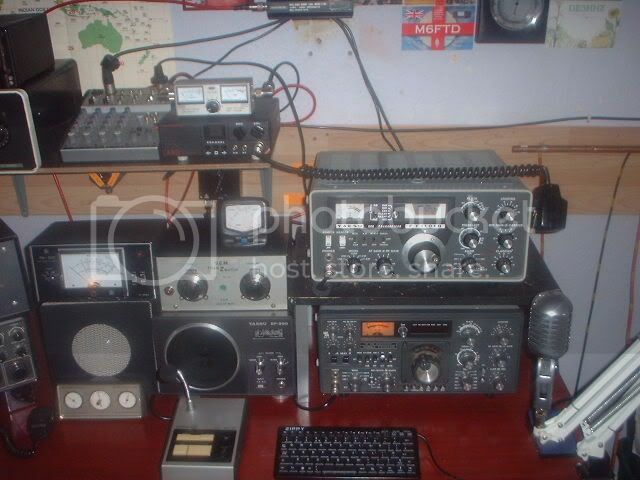 \r\nBy next week I will be adding a Yaesu FT-736r to the table. Super nice set up Buddy. Looks great! Looks like you have an RS receiver. I had one of those when I was a kid. it was a good receiver. I should have never got rid of it. WOW! The shack revamp is FANTASTIC!!! \r\nSeems the more I do the better I like it. \r\nSet up this way really is working out better. Not as cramped as before. Got my FT 736r today. Man this rig is great!. \r\nHooked it up and made 2 beautiful contacts on AO-7. \r\nI never heard my signal sound so good. Now to get the CAT connected. \r\nThe best part is there is no wear on any of the buttons. The inside is ver y clean. All screws are in place..
Man thats perty. I\'m sure you\'ll enjoy it! \r\nI have spend all week end trying to get this rig to control by sat program. Man it is a tough one! 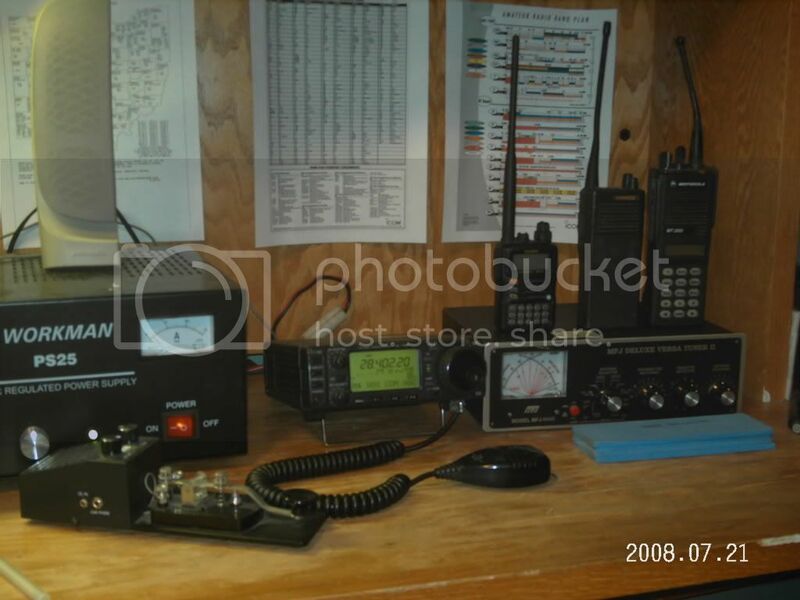 Here is my shack starting from the left a Workman (local company) 25A regulated powersupply, a cheap straight-key/oscillator, my Icom 706 (original model), MFJ Versa Tuner II. On top of the tuner is part of the portable collection. \r\nNice setup. That 706 will get the job done. What type of antennas you have? I\'m jealous, somewhat, of all the nice shack setups. I don\'t have that much room for such setups. Anyone recommend or have ideas for setups in small areas? 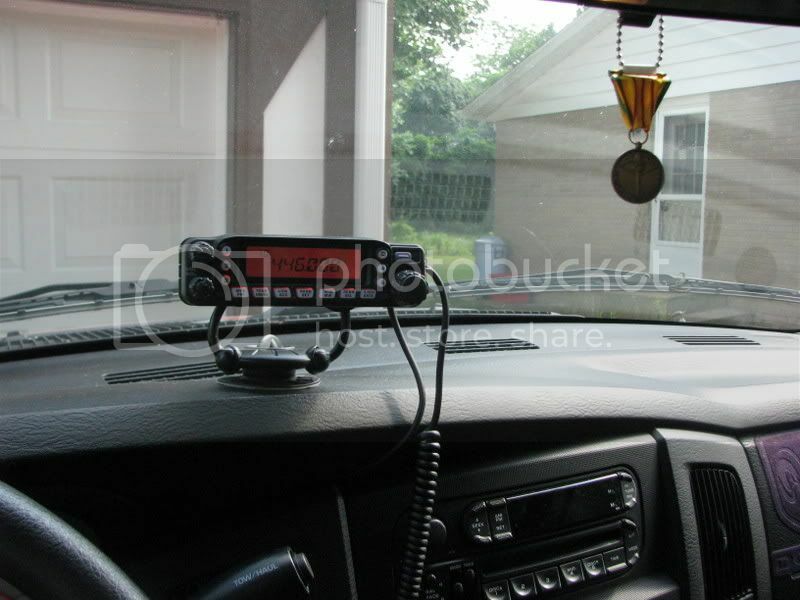 I currently live in a duplex and don\'t want to have any interference with my neighbors. 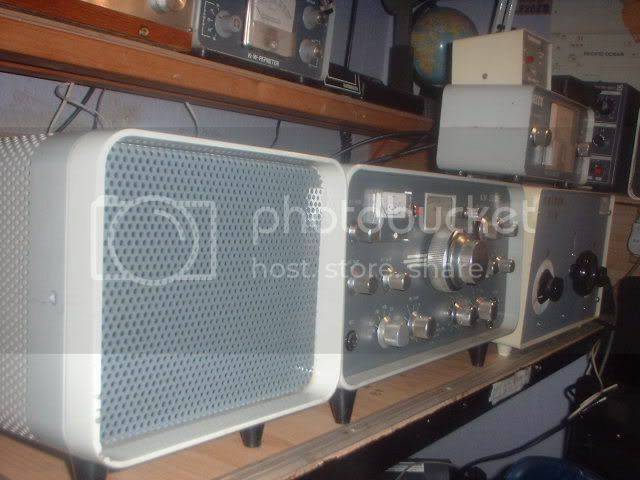 Although if it effects the stereo they like to play loud all day long, I wouldn\'t mind. At this time I have a 10m omni also made by Workman (is actually an 11m base cut down for 10m), and a home brew 2m super j-pole. 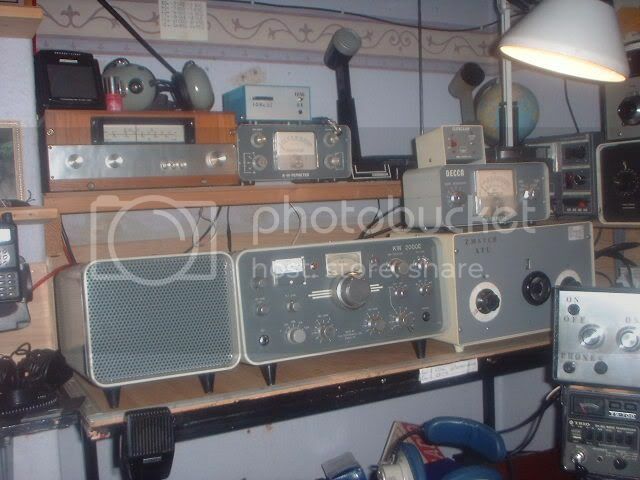 I will be hanging some wire for HF but have a small back yard so I am still working out what type/bands I\'ll be putting up. \r\nThe 706 has been working well, last year on Field Day I worked Fiji and Kwajalein on 20m with around 80 watts into a 20m dipole. 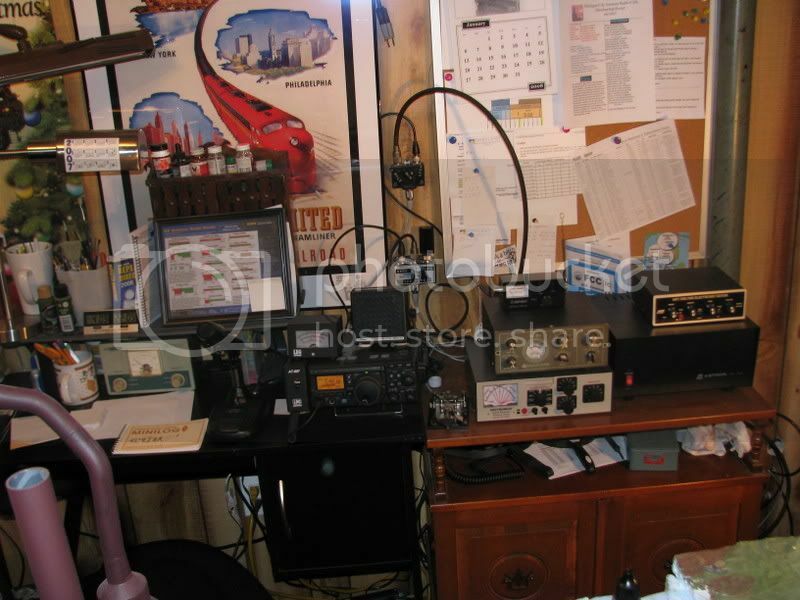 On 10m I have worked 30 states as well as the UK and Vancouver B.C. \r\nThanks for posting the pics. Although I can not see the pics here at work (firewall blocks photobucket) I will check them out when I get home. \r\nGlad to see ya back my friend. Drop by JP when ya get a chance. \r\nI may have something laying around. I will take a look. \r\nYeah, I have a lot of junk. \r\nI have two of those units. One is only parts now. It was in bad shape anyway and some major parts quit in the good one. So scraped the bad one to fix it. Still have some tiding up to do. Have to finsh the floor under the table but may wait a week.